Last night, Women’s College Basketball fans were deprived of a selection show. Let’s be clear, there was a March Madness selection show (two, in fact) but the excitement was diminished because of a very big mistake. The brackets for March Madness (both men and women) are selected by a secret committee and then released on ESPN at their respective time. This year, for the first time in 80 years, the bracket was leaked well before the selection show. Twitter started buzzing around 4pm, 3 hours before the bracket was suppose to be release. Coaches, players, analysts, and fans started praying this was a joke and that the real bracket would still be released at 7pm that night. Not only was it the real bracket, but ESPN decided to move up the broadcast to 5pm, and then have another show at 7pm. This meant most of the watch parties around the country were cancelled. A lot of the players were in classes or simply not with their teams when they found out their seed, so there was no surprise or celebration with their teammates, whom they have worked so hard with for the past eight months to prepare for this tournament. We’ve got Baylor, Louisville, Mississippi State, and Notre Dame. Baylor has held the number 1 overall seed for the past few weeks and no one is surprised they are a dancing on top. Notre Dame and Mississippi State are last year’s National Champions and National Runners-Up, respectively. Notre Dame is not a shocker, but Mississippi State was not set in stone coming into this tournament. However, they are hungry for a National Championship after being the runners-up for the past 2 years. This year they are playing with the motto “Unfinished Business” because they know they can win that National Championship. Finally we have Louisville. This is where people are divided. Louisville lost their Conference Championship game, are suffering from some injuries, and don’t even have the best record in their region! But, they have an extremely strong schedule and are expecting to return the injured players for the tournament to add to two-time ACC player of the year, Asia Durr. I wouldn’t put my money on Louisville, but they could surprise us all. For the 2 seeds we have UCONN, Oregon, Iowa, and Stanford. One of the biggest headline of this bracket release (other than the leak) has been UCONN getting a 2 seed. For the first time since 2006, the Huskies will not be a 1 seed heading into the tournament. This is due to a few things. First off, UCONN has had an off year, losing twice (yes I said TWICE) all season. Second, their strength of schedule and conference were not as strong as they have been in the past and not as strong as some other teams. The question everyone is asking is, are we spoiled by how dominate UCONN has been the past few years? Regardless, you better believe that UCONN is fueled after being told they are second best, and I have no doubt they will continue to be making a splash in this tournament. Another underrated 2 seed are the Oregon Ducks. Oregon has had a phenomenal start to their season, peaking on February 10th when they stomped all over Stanford. Since then, the Ducks have lost a few and have not been playing their best basketball, but there is not doubt that they could make a run at this trophy just as much as any 1 seed in this tournament. 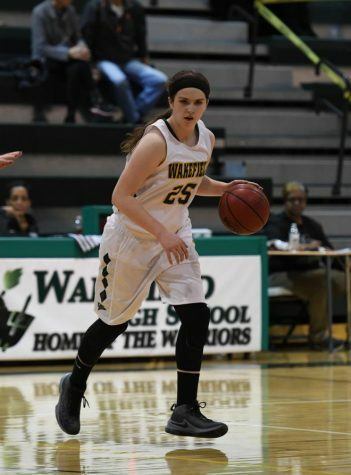 Iowa is led by the ESPN W National Player of the Year, Megan Gustafson. It’s a stretch to say Iowa was a no name last year, but they have definitely come up on everyone’s radar this year. They are a strong team, but they are in Baylor’s region so the chances of them making it to the Final Four are slim. Finally we have Stanford. Nothing new here. The ladies are brilliant, on and off the court. Legendary coach, Tara VanDerveer, has put together an amazing team including double trouble down low with Shannon Coffee and Alana Smith. They should be a fun team to watch, but I don’t expect them to come out of a region where Notre Dame is the 1 seed. The 2017 NCAA Champions, the South Carolina Gamecocks, are ranked at number 4 in the tournament. The Gamecocks have had a tough season this year after graduating A’ja Wilson last season, but Dawn Staley is one of the best there is so be prepared for the Gamecocks to make a run in this tournament. The Oregon State Beavers has been having a great season, lead by former Maryland standout, Destiny Slocum. The Beavers have a 24-7 record for the season but 5 of their 7 losses were by 10 or less points, including a 10 point loss to the reigning champions, Notre Dame. The Miami Hurricanes are upsetting top teams left and right. The Hurricanes are a 4 seed in the tournament but have beaten #1 Notre Dame, #1 Louisville, and #3 Syracuse during the regular season. These ladies are ready to ball against the best of the best. I have no doubt they will be making a run in the tournament. The UCLA Bruins are also having a bracket-busting season. Although their record is 20-12, they have had some close games with top ranked team. They beat #2 Oregon, and then had close games with #2 Stanford and #4 Oregon State. Bella Alarie and the Princeton Tigers are coming off a great season, capturing the Ivy League regular season and tournament championship. Alarie is a 2-time Ivy Player of the Year and a member of the U19 USA Basketball team and a WNBA prospect. The Tigers will be a tough match up for Kentucky in the first round. The Maryland Terps are making another appearance in the tournament, this year at the 3 seed. The Terps have had a great season, with a 28-4 record and good wins verse Michigan, Michigan St, and Rutgers. The Terps have struggled in the tournament the last few years so they will have lots of motivation to show out this year! 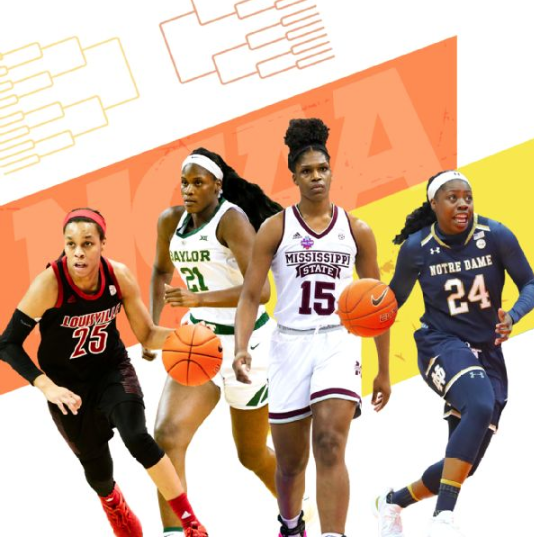 The Women’s NCAA March Madness was the pinnacle of basketball in 2018. The Men’s March Madness had a blow out in the championship, Golden State won the NBA finals (again), and the Seattle Storm swept the Washington Mystics in the WNBA Finals. Last year we had 2 buzzer beater wins in the final 3 games, both by the same person. Click here to fill out a bracket and join the challenge in an attempt to get a perfect bracket! Check here for game times and channels to watch some of the best basketball being played!